A comprehensive orchestral percussion library featuring the renowned Joby Burgess in Lyndhurst Hall at Air Studios. Alongside a huge array of large and small percussion, timpani, bass drums and cymbals lie a set of mallet instruments described by Sound On Sound magazine as "to die for". 28.9 GB download size Too large to download? Choose hard drive delivery at checkout. Spitfire spent weeks at Air Studios recording a comprehensive orchestral percussion library with the renowned Joby Burgess (ensemblebash, Peter Gabriel, many major Film & TV scores) - a collection full of life and character. 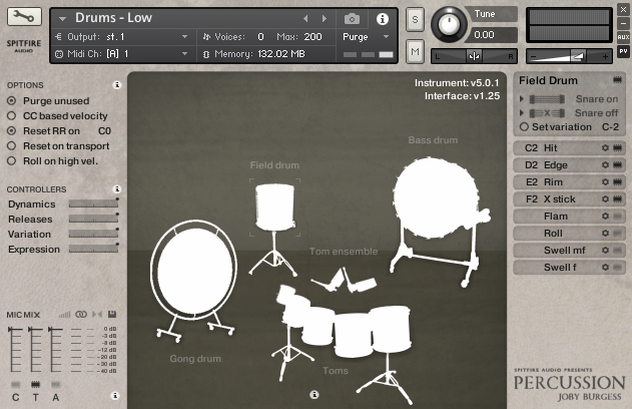 This percussion library is the ideal bedrock of your orchestral template. The collection was recorded 'in situ' in Lyndhurst Hall, giving a degree of spatial richness that is extremely difficult to replicate artificially. The mic positions give you control over the amount of ambience in the sound, and the recording chain is strictly A class - vintage valve and ribbon mics through Neve Montserrat preamps, through the world's largest Neve 88R desk to meticulously maintained 2" tape, and finally converted via Prism AD. Joby Burgess is an exceptionally talented percussionist, and has worked hard to give Spitfire Percussion a hugely flexible and intuitive workflow. Playing in the beautiful Hall at Air Lyndhurst is an inspiring experience and this passion can be heard in the end result of the recordings. Spitfire founders Paul and Christian worked with Joby to curate the most essential articulations and playing styles. An example of this, the Marimba in which Joby chooses the most appropriate beater for each range and dynamic, was described by Sound On Sound magazine as "to die for" - this careful process of vetting gives you very usable instruments right out of the box, without you needing a degree in percussion to be able to assemble a beautiful and detailed performance. You can concentrate on the music rather than on the technology. As one of Spitfire's earliest releases, the library is now at v5.1 - with Spitfire's new KickStart percussion engine, springing easily out of the box, but also featuring great depth of customisation for use with all kinds of controllers. The library features up to 8 'round robins' and up to 8 dynamic layers, as ever these are curated carefully so that for example the loudest ffff layer of the Timpani is played with a wooden mallet to give that extra welly, while the ppp layer is a geniune super-quiet performance rather than a mid volume hit just scaled down like in so many libraries. Conversely, the Ship's Bell doesn't have quite so many dynamic layers! 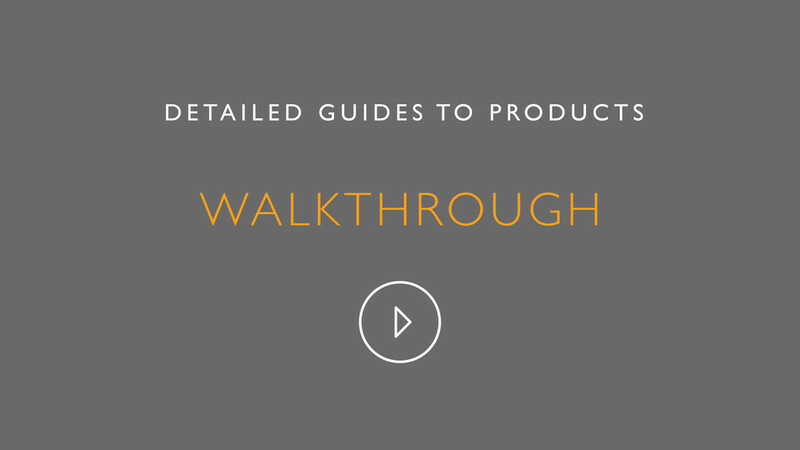 These choices made during production result in the best balance of performance and features, meaning that you get huge detail while the library is still usable in practice and doesn't gobble up system resources. This interface is built for especially for our percussive libraries to make it easy to map sounds to any connected MIDI interface. It also includes the microphone mixer and available feature controllers.